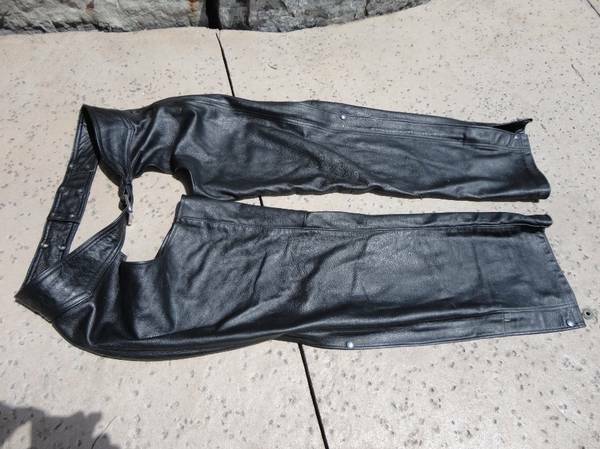 Like New Set of Premium 100% Leather Adult Motorcycle Chaps for an Adult Man or Woman. Size Large. 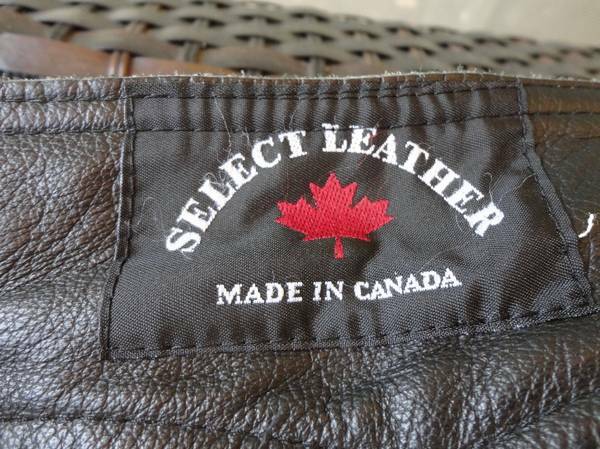 Made in Canada by Select Leather. These are better made than the ones made in China or offshore. 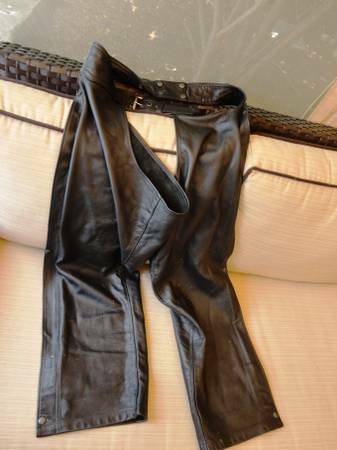 They may be a bit more money than the China stuff but you are getting a much better premium leather and better stitched set of Chaps!! So when comparing prices make sure you are comparing a Made In Canada or USA genuine leather set vs an offshore made set. Adjustable Waist Belt and snap clips up each leg. Excellent like new shape. NO Cuts, NO Abrasions and no rub outs.